Integral to capitalism and its totalistic concept is the fiction of democracy, which offers similar pre-selected choices sitting on the shelf – a can of soup or a politician. 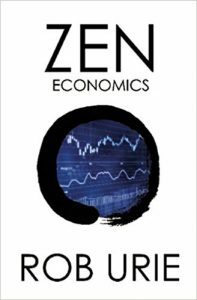 Economics seems to take both authors prisoner. One by profession and the other, let’s say, by anti-profession. Of the two, Urie offers the better possibility of escape velocity, but never quite realizes it. 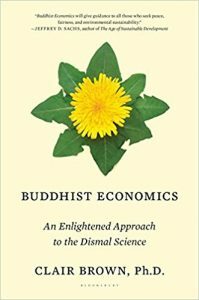 Both authors recognize the futility of propping up homo economicus on a crumbling pedestal of nonsense, but neither imagines a concrete alternative. And I don’t mean homo cooperatius. And here too, Urie, though he emphasizes the value of indigenous knowledge, fails to recognize the potential significance of Sumac Kawsay, or Buen Vivir (“good living”), the worldview of the Quechua of the Andes as relevant to a post-growth orientation. Bernard Marszalek is an activist in the alternative alternative economy sector. A former worker-member of a cooperative printshop for decades and currently agitating for a society beyond jobs, where the substantial activity of society melds work and play into a new conception of personal realization collectively attained. He archives his writings at his website Read other articles by Bernard. This article was posted on Monday, May 22nd, 2017 at 8:39pm and is filed under Book Review, Capitalism, Economy/Economics.